White Metal, Chrome. E12 G50 1x max.40W. UL LISTED, BULB INCLUDED. Perfect for any small space. 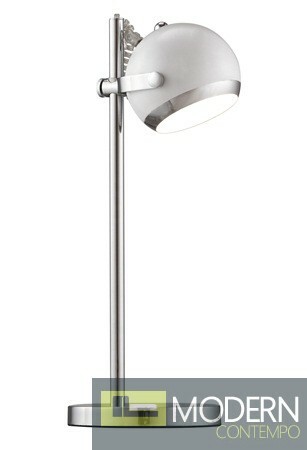 The Cyber table lamp is constructed of chrome. 40W max bulb is included. Comes in white, black or chrome finishes. It's UL approved.